For Pro Traits Studio, Delhi creating a photograph is not merely a technological process, rather it is about capturing the right fleeting moment and preserving it for you. It is about the joy, which lights up your face when you look at a photograph reflecting the right memory. They don’t depend on your smile to click a beautiful picture, they are committed to making you smile. They are committed to helping you experience joy. Every wedding story is beautiful and unique for them, and they realize the importance of narrating it to you in the best possible way. They endeavour to make your day even more distinctive through their creative theme based wedding films and teasers, encapsulating every emotional moment that enlivens the ceremony. Narrating your wedding day means a lot to them and they make sure to document it in the most personalized way possible. This is achieved through a documentary style wedding cinema approach, which is done by their seasoned filmmakers and creative directors. The inclusion of your family, friends and relatives as narrators to your wedding story helps For Pro Traits Studio, Delhi create a fresh and witty wedding film each time. 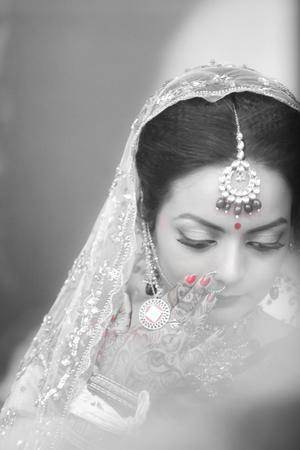 Pro Traits Studio is a Wedding Photographer based out of Kalkaji, Delhi . Pro Traits Studio's telephone number is 76-66-77-88-99, Facebook page is Pro Traits Studio and address is Kalkaji. In terms of pricing Pro Traits Studio offers various packages starting at Rs 10000/-. There are 0 albums here at Weddingz -- suggest you have a look. Call weddingz.in to book Pro Traits Studio at guaranteed prices and with peace of mind.